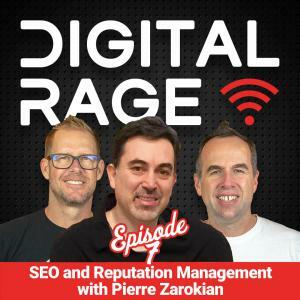 LOS ANGELES, CA, USA, April 15, 2019 /EINPresswire.com/ -- Pierre Zarokian is a featured guest on the current episode of Digital Rage podcast, a show about all things Internet. He offers his perspectives on all things marketing and technology related, covering topics including reputation management and the evolution of the SEO industry. Pierre’s extensive history and expertise in the industry gives him an informed perspective.